I like making pancakes for the family. Simple to make, delicious enough to please everyone, pancakes can also be dressed up with different flavors to reflect the flavors of the season. Carrot cake pancakes are a perfect example of this. While I have made these tender, fluffy, cinnamon kissed pancakes many times, this dressed up version topped with pineapple, toasted coconut, pecans and maple-glazed sautéed carrots elevate the humble pancake to something elegant enough to serve for Easter brunch. 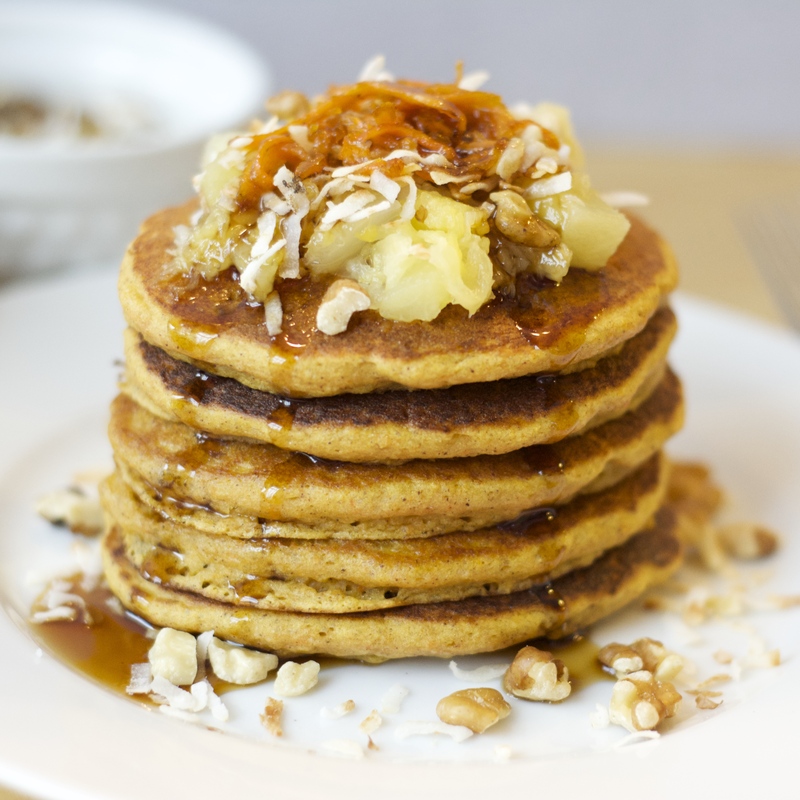 You’ll find Gluten and Dairy Free Carrot Cake Pancakes over at the Snap Fitness blog today. Enjoy!